Before you get too excited, though, it's a good idea to step back and evaluate your situation. Credit card issuers wouldn't offer such a screaming deal if there wasn't something in it for them. Here are six of the "hidden" dangers associated with balance transfer offers. True, the Credit CARD Act of 2009 requires credit card issuer to apply your payment to the highest-rate balance first. But there is a loophole: Issuers can allocate the minimum required payment in any way they want. The credit card issuer has the option to apply the $60 of your minimum payment toward the high rate purchase or to the low rate balance transfer. Of course, the issuer will apply all of the minimum to the 0% balance, then apply what's left — $40 — to the high rate purchase balance, according to the law. This keeps the high rate balance on the account longer, earning the card issuer more interest. To avoid this, don't use the card to make additional purchases, especially if there is no introductory purchase APR. Be aware that credit card issuers divide up your balances. Your purchase APR is different from your balance transfer APR, and both are different from a cash advance APR. Once the 0% APR period is up, your balance is subject to the regular APR — which is often higher than you might see with other cards. Often, these cards come with rates as high as 25%. As long as you pay off your card before this higher rate slams you, you're fine. However, research indicates that 34% of consumers don't pay off their balances within the introductory period. On top of that, 20% of balance transferees don't get the entire introductory period because they violate some term. If you pay late, or don't make the minimum, your intro rate is revoked and you revert to a higher rate. Add these groups up, and 54% of consumers who take advantage of balance transfer offers don't reap the reward of eliminating their debt. Worse, they find themselves with balances on cards with the highest interest rates. Before you transfer your balance, make sure that the interest savings outweigh the balance transfer fee. There are cards that have no balance transfer fees. 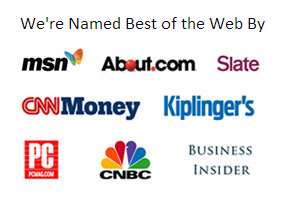 Some of these don't have a intro offer, which would only make sense if you have no other options and need to get your debt to a lower APR card. But some offer an intro period and no balance transfer fee. If you have a high balance to transfer, this can save you the most money. Watch out for balance transfer cards that also offer rewards. The problem here is that many of the cards that offer rewards programs and introductory balance transfer rates don't offer an introductory rate on purchases. So you are encouraged to make purchases to get the rewards. However, those purchases come with interest charges that can offset what you save with your balance transfer. Add in a balance transfer fee, and your balance transfer can cost you even more. Be clear about your objectives before you use a balance transfer card. If you want to get rid of debt, you don't need the rewards program. Instead, devote yourself to paying off the balance before the end of the introductory period, and avoid making new purchases with a credit card. Depending on how you accomplish your balance transfer, your credit score can drop. First, the hard credit inquiry can ding your score a bit when you open an account. Plus, your new account lowers the average age of your credit profile. If you cancel your old card after transferring your balance, you could end up with a higher credit utilization, which is a negative in the credit scoring algorithm. A lower credit score can mean higher costs in various areas of your life. 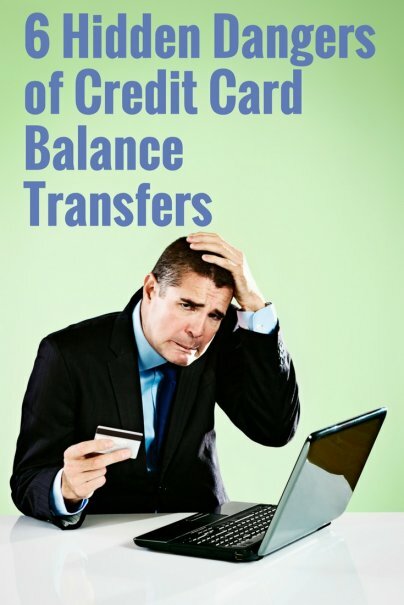 When transferring a credit card balance, make sure that you are careful to keep your old account open (as long as you have the discipline not to run up new balances). Pay attention to other fees that might be charged by the credit issuer. There might be a higher late payment fee on your new card, or there might be an annual fee. These types of fees reduce the effectiveness of your 0% APR balance transfer. If you transferred your balance to a new card, then before the APR period is up, can re-transfer to another card, offering the same incentive?